Despite their country boasting an efficient and comprehensive benefits system, many Peruvians continue to work outside the bounds of a state pension. Almost 70 percent of the Peruvian workforce still operates entirely on an informal basis; ineligible to receive the benefits afforded to those in more conventional workplaces. While efforts to formalise the workforce are underway, Peru’s evolving private pension market has offered financial relief to millions of informal workers across the country. As many continue – and will continue – to operate outside the realms of the formal marketplace, Prima AFP is leveraging new platforms to provide coverage to a whole host of new and existing customers, all the while educating the masses on the often confusing practices found in the country’s private pension system. 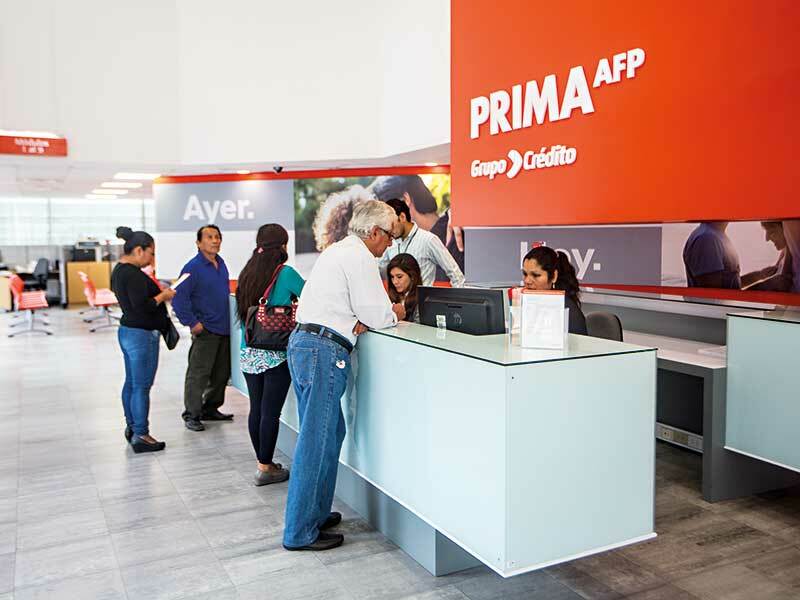 World Finance spoke to Renzo Ricci, CEO of Prima AFP, to find out more about the challenges facing the Peruvian market, and the steps Prima AFP is taking to ensure a brighter future for Peruvian workers. What’s in store for Prima AFP in 2017? This year has presented a new and exciting challenge for Prima AFP. Having won the latest tender from the Peruvian pension system, we will be responsible for affiliating all workers entering the formal marketplace from the beginning of June 2017 until the end of May 2019. What can new customers expect from Prima AFP? Here at Prima AFP, we are always trying to exceed the expectations of our customers, providing true value and accommodating each customer’s bespoke needs. Each new and existing customer can expect to benefit from excellent profitability in the long term, receiving support from Grupo Credito, an institution with over 127 years of experience, and gaining value from our personalised advice. On top of this, our customers will benefit from the lowest commission rate in the market as of June this year. The positive customer experience we provide is reflected in the numbers: in 2016, our offering had a higher preference rate among customers than any other pension provider operating in the private pension market. This resulted in Prima AFP taking positive net flows of close to 18,000 people last year. Further, our customer experience meant we ended 2016 with a 54 percent share of the voluntary savings market, with this share growing seven percent in the last year alone. What progress have you made regarding virtual platforms? And what measures have you implemented in response to the digitalisation of information channels? This year we will be implementing a series of innovations around our digital channels. As more and more users engage with our products via their smartphones, we have increasingly made use of Facebook Live. By communicating with customers and prospective customers through this channel, we have been able to answer the questions of a wider audience, eradicating common doubts and resolving a variety of issues. It is important to note that we have the largest number of Facebook followers of any pension provider in Peru, boasting 750,000 to date. In order to make the most of our online presence, we have made a commitment to provide our followers with valuable and interesting content on a regular basis. This content primarily centres on three key areas: education, inspiration and utility. As well as exploring new channels, we have sought to renew and upgrade our existing digital platforms, paying particular attention to our advisory telephone platform. We are working to ensure we can interact with our customers as efficiently as possible, and through a variety of mediums. All customers interact in their own way, so operating across multiple channels is extremely important. It is because of this that we will continue to provide new technologies and services to as many customers as possible. Digital platforms are continuously evolving and, as with any business, we must evolve in tandem if we are to address the needs of the market effectively. What is the biggest problem facing the Peruvian pension system? The main issue with the Peruvian pension system is that it only caters to those working in formal employment. As a country, Peru has a predominantly informal workforce, with 70 percent of the population working outside the formal economy. As a result, you have millions of Peruvians with very little or no pension in place. While the government is trying to formalise employment, there is no indication as to when this can be achieved and to what scale. Therefore, it is important to provide a flexible alternative to those currently without any coverage. In this vein, we believe it is important to continue to increase pensions, invest in flexible policies and diversify our offering, ultimately providing our customers with better returns in exchange for less risk. In order to do this we need to create a savings culture, one that consciously addresses the need to prepare for the risk of longevity. It is essential to understand that, in the majority of cases, the fund grows not only as a result of the profitability of Prima AFP, but as a reflection of the affiliates contributions, both in frequency and size. This means investor confidence is key, and is the reason we are keen to work with the government to improve the current system. What has been done in recent years to deal with the problems of the private pension system? Our research studies have shown that one of the key problems within the private pension system is the language. Both clients and the wider population often perceive the language used by pension providers to be extremely complex, and become deterred as a result. This is why we have developed the Let’s Talk Easy initiative. Let’s Talk Easy aims to educate our clients about our services using a simple and straightforward narrative. As a market leader, we have a responsibility to educate not only our affiliates, but also the population as a whole. Whether we are communicating via radio, social media or any other platform, we hope to broaden our audience’s understanding of the private pension system and the products that accompany it. In order to ensure Let’s Talk Easy is a success, we are conducting a number of qualitative studies to assess our communications in both content and form. We want all of Prima AFP’s communications to reflect our straight-talking strategy, thereby providing customers of all ages and backgrounds with interesting and relevant content in a clear and coherent manner. President Pedro Pablo Kuczynski’s administration has promised reform – what will he do to contribute to the development of the system? We have very high expectations for the reform being promised by President Kuczynski’s administration. Here at Prima AFP, we believe a comprehensive reform of the pension system is vital to the success of our industry, but any reform must also consider the state system. We have already suggested some initiatives to the reform committee – known as the Reform Technical Commission – to ensure affiliates remain the beneficiaries of any changes to the system. It is fundamental that all of these improvements are geared towards ensuring a dignified retirement for the greatest number of employees across Peru. It is of national interest that people who end their working lives do not have to depend solely on their family or the state. How much importance do you place on social responsibility? To put it simply: a lot. Prima AFP has always put corporate social responsibility at the core of its operations and that is definitely no different in 2017. Last year, we decided to redefine our social responsibility strategy and, after an exchange of ideas between the main leaders of the organisation and those who had been involved in various sustainability activities in the past, we settled on three main pillars we consider to be of the utmost importance. Our primary goal, as always, is to ensure that every worker has something to fall back on when they decide to leave the world of work. Continuing to live with dignity in the third stage of life should be the norm and not the exception. Second, we aim to cultivate Peruvian culture and bring people together through a number of communal activities. We try to bring Prima AFP’s culture to the world, and connect people from a variety of backgrounds. Our final pillar focuses on responsible investment. Last year, we developed the Programme of Responsible Investment, which took a fresh look at our strategy and outlined the key criteria we hoped to address with each and every investment. Our decision-making processes ensure each investment is not only beneficial in terms of profitability, credit and risk, but also ethical, social, environmental and adhering to corporate governance. There is quantifiable evidence outlining the positive correlation between a company’s responsible investment and its profitability. To ignore any one of these pillars in our modern society is to risk the longevity of a business. While social responsibility can be costly in the short term, the long-term benefits are undeniable, and provide a platform for both the business and the society around it.